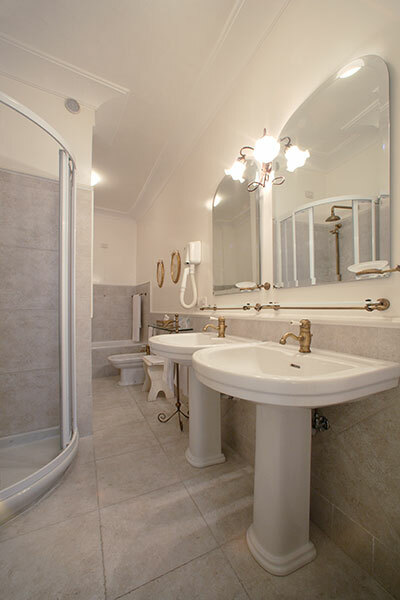 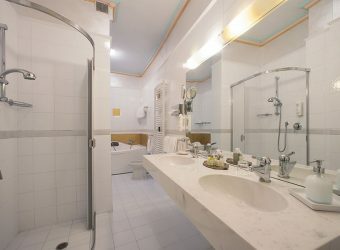 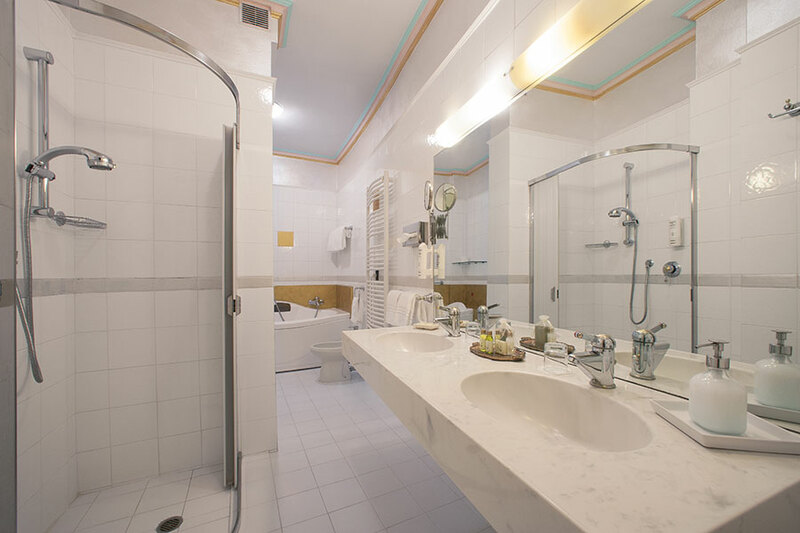 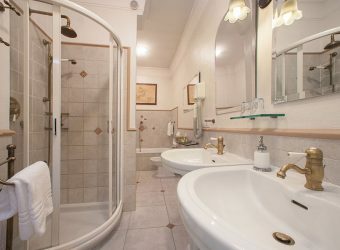 All of the Suites are similar in structure (40 m2) and are composed of three separate rooms: a bedroom with television, a lounge with television and a large bathroom with shower and tub. 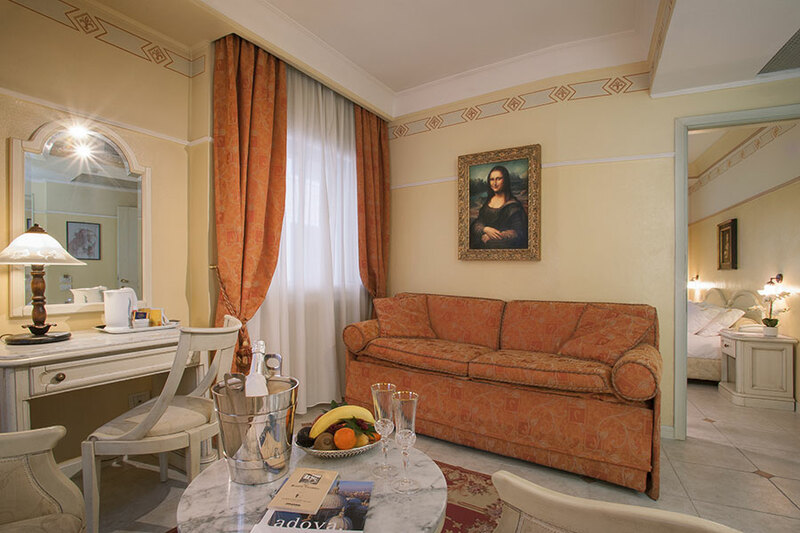 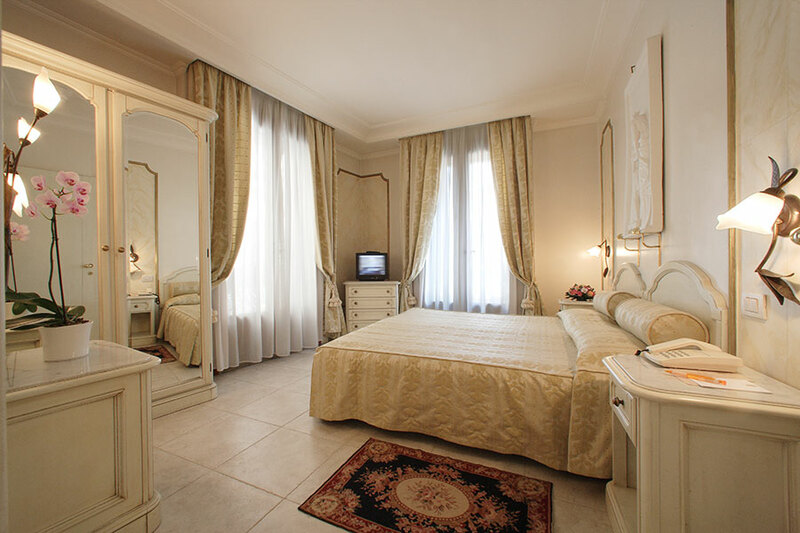 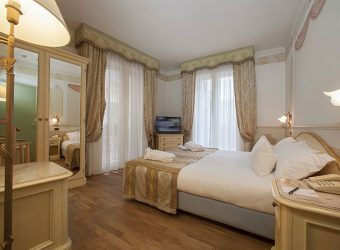 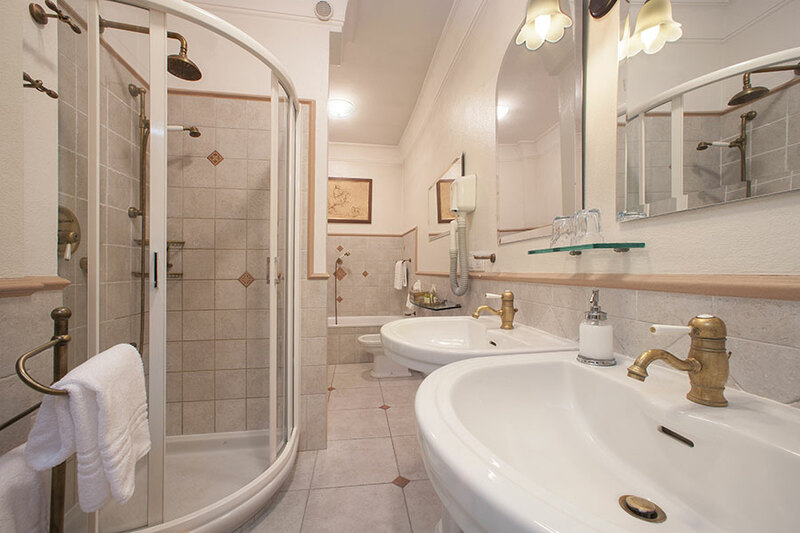 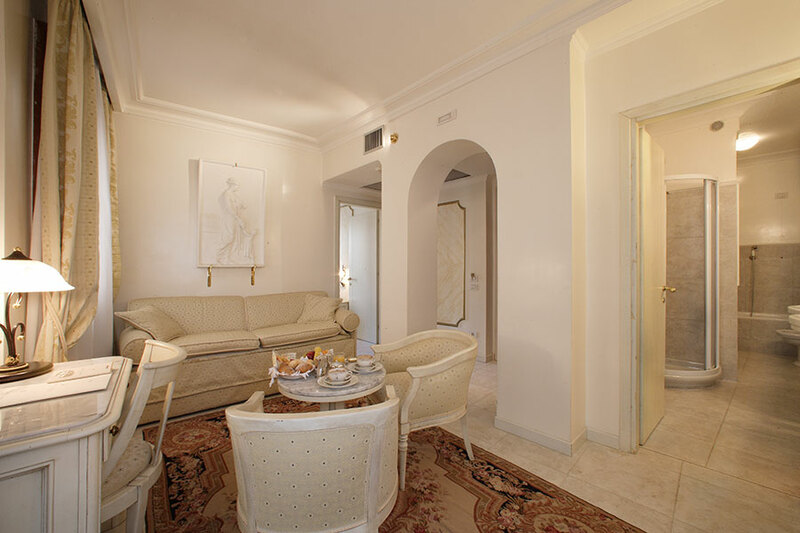 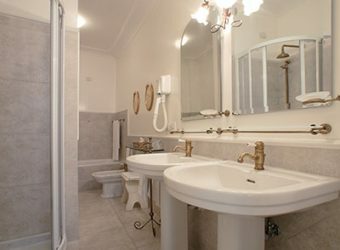 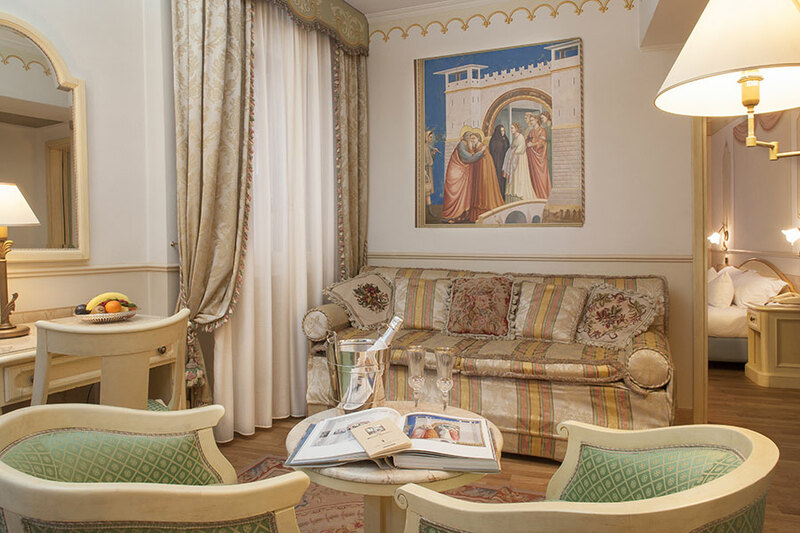 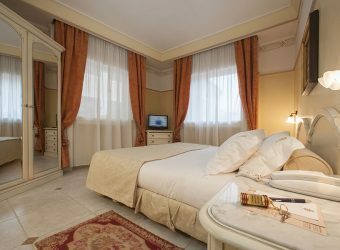 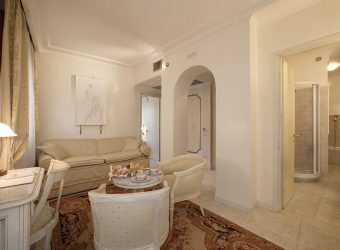 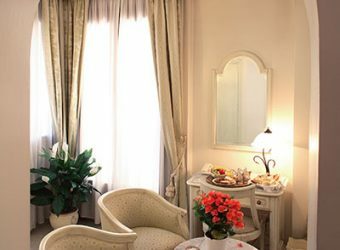 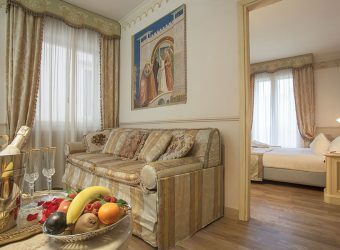 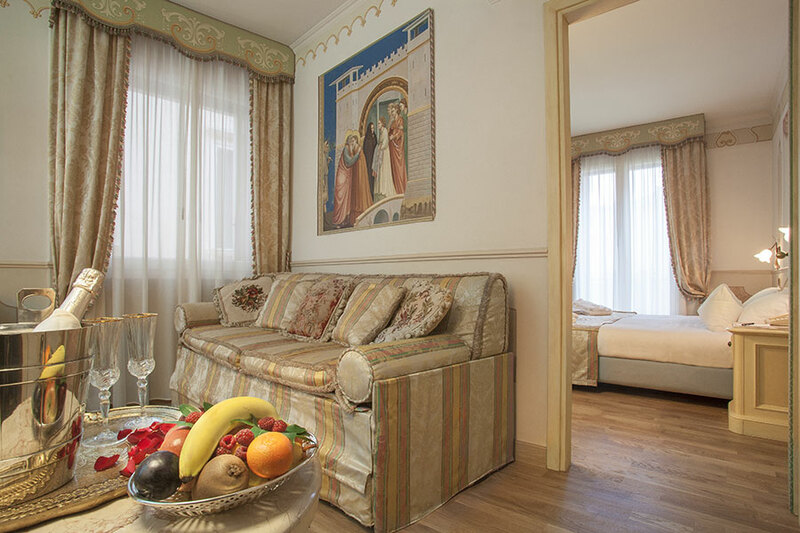 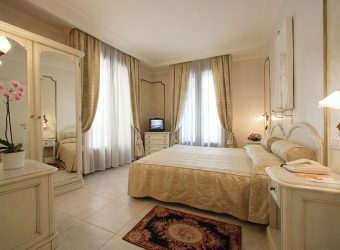 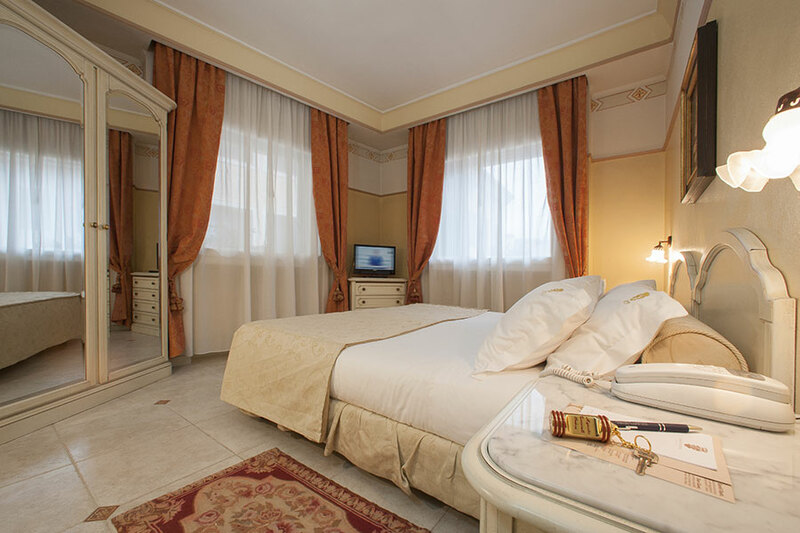 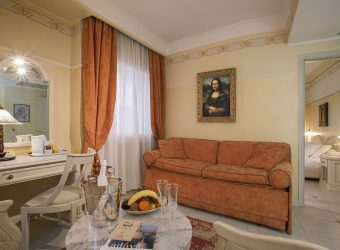 Each Suite is furnished differently and embellished with trompe l’0eil decorations – reproductions of paintings by Canova, Giotto and Leonardo after whom the rooms are called. 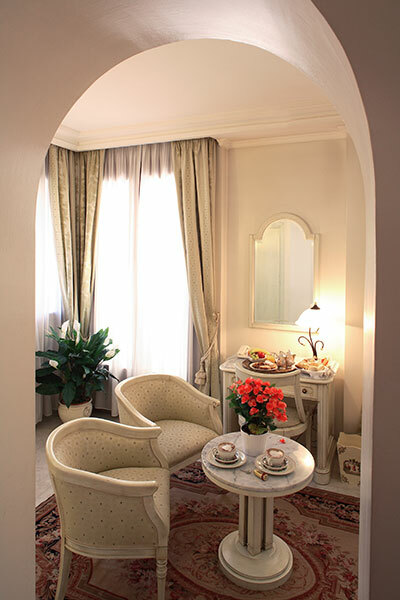 The natural sun light that filters through the many windows highlights these marvellous works of art. 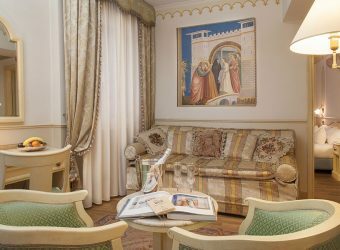 Special attention should be given to the beautiful hand-embroidered cushions, tissue boxes and wooden inlaid trays from Florence.